It is always lovely to find something you had more or less given up hope of ever finding, so we found these Pyramidal Bugloss plants growing in the Pirin Mountains National Park in Bulgaria we were delighted. 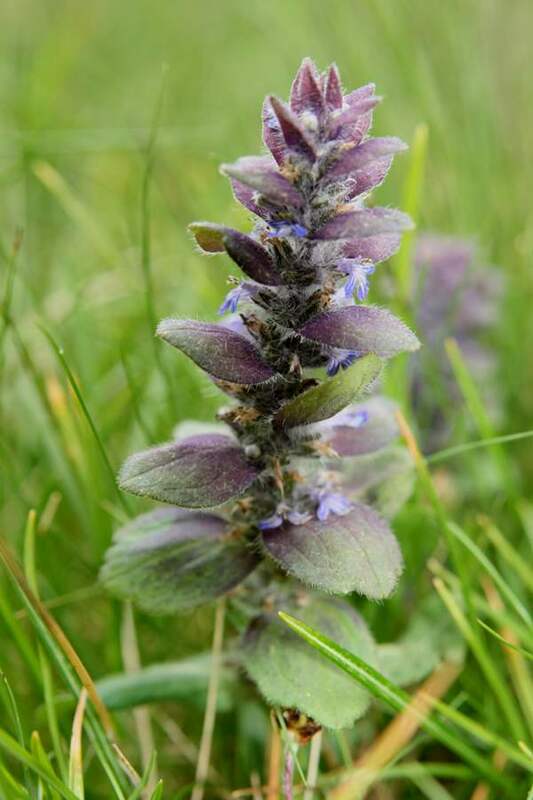 When this member of the Lamiaceae is in bloom you can see at once that the flowers are generally paler than those of Ajuga reptans with which we are much more familiar. The stems are hairy and bear pairs of opposite hairy leaves that form a squarish pyramid, the lower leaves green and the upper leaves increasingly more purple towards the top of the plant. Typically 15mm long, the blue flowers emerge from large leafy bracts. Unlike the much more common Bugle, which produces runners from which new plants grow, Pyramidal Bugle has rhizomes rather than runners (stolona). The odds are more heavily stacked again this rarity becoming a common wildflower, because although it is a perennial it does not bloom every year. In Britain these rare plants are seen in just a few locations in northern England and Scotland. They are also recorded from The Burren in County Clare, southern Ireland, and from Rathlin Island in the north, but despite much searching to date we have yet to find them in Ireland. On mainland Europe Ajuga pyramidalis is not such a rare find. 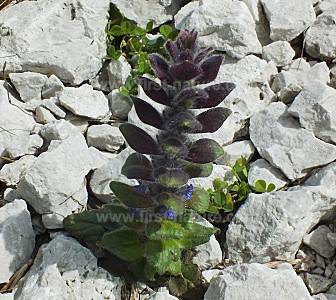 We have seen these plants in bloom in Bulgaria, and in Slovenia Pyramidal Bugle is plentiful among limestone rocks in the Julian Alps in areas. 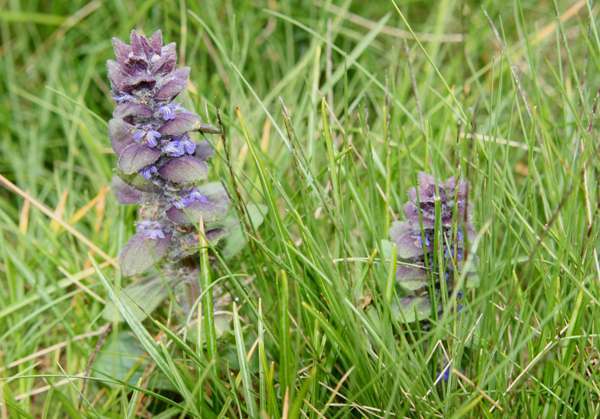 Pyramidal Bugle is usually found in short-sward grassland overlaying calcareous rocks; it also occurs within grikes in areas of limestone pavement, most often where it is marshy. We also found and photographed these plants in the predominantly limestone Julian Alps in Slovenia on trips there in June 2011 and again in late June 2014, and in Bulgaria in the Pirin Mountains National Park in mid June 2009. In northern Britain and in western Ireland Pyramidal Bugle usually begins flowering in late April and sometimes continues through May and in to early June.